The tranquil and picturesque village of Muker lies between Gunnerside and Thwaite, at the western end of beautiful Swaledale, in the Yorkshire Dales National Park. 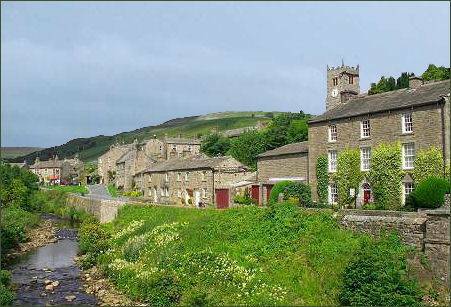 The River Swale runs parallel to the village, with Kisden Hill offering a spectacular backdrop. The unspoilt valley of Swaledale winds its way north west into the northern Pennines. It is famous for its wildflower meadows, heather moors and waterfalls. Muker's unusual name derives from the Old Norse language of the Viking settlers in this area, from the Norse words 'mjór akr' which means 'the narrow newly cultivated field'. The location of the village at the meeting of the River Swale and the Straw Beck with plenty of good meadow land around is most likely why the Vikings chose to settle here. The earliest recorded evidence for human occupation in the area was found in the form of a skeleton, with accompanying flints, which was discovered on Muker Common in the early twentieth century. The burial was found to date from the Bronze Age. Historically Muker was home to a thriving agriculture and mining economy and the centre for hand knitting. Agriculture continued to be the basis of economy in Muker until lead mining became more important during the late eighteenth century and the early nineteenth century. However today it is a hub for tourists and holiday makers and is arguably the most popular tourist destination in Swaledale. The traditional late eighteenth and early nineteenth century barns and drystone walls of Swaledale are the most characteristic feature of the landscape. 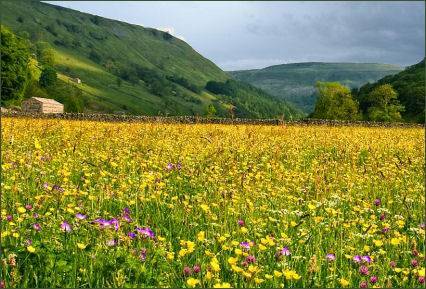 The flower-rich hay meadows around Muker are of international importance and are carefully protected. Farmers receive grants which allow them to farm the land by traditional methods, without using artificial fertilizers. This is the reason why the meadows in Upper Swaledale are filled with such a vast amount of wildflowers. The Muker Meadows offer a wide and colourful range of wild flowers. Six of the meadows at Muker have flagged paths, some are inaccessible but viewable, whilst the first two are suitable for wheelchairs or pushchair visitors. The village provides one of the best places to see upland wild flower meadows from public footpaths in the Yorkshire Dales. 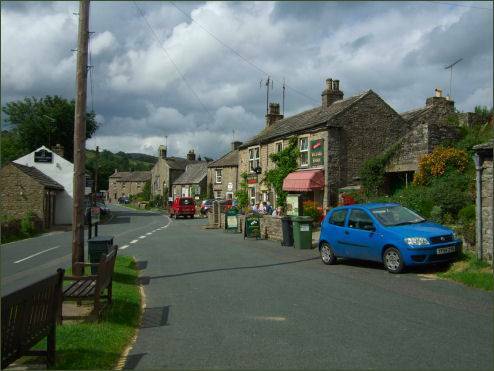 Muker is one of the most popular tourist destinations in the Swaledale. The warm and friendly village pub, the Farmers Arms, offers a wide selection of reasonably priced meals and up to 6 traditional ales on tap at the bar. The pub also lets out the holiday apartment opposite. 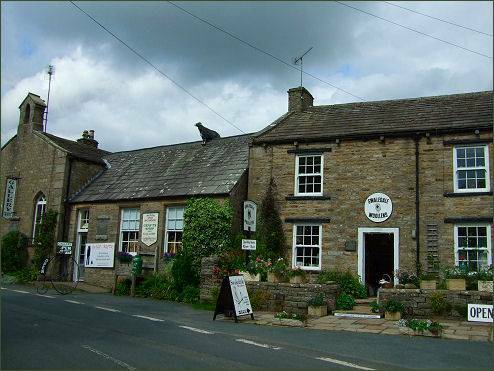 There is also a useful village shop, tea rooms, as well as craft shops, a woollen shop, the famous Swaledale Woollens, a café and an art gallery which is housed in the Old School, the characterful building has a history dating back to the seventeenth century. The gallery stocks a range of unique handmade original crafts which include jewellery, kiln formed glass, bronzes, cards and various object d’art. The picturesque private walled garden provides stunning views of the Fells. 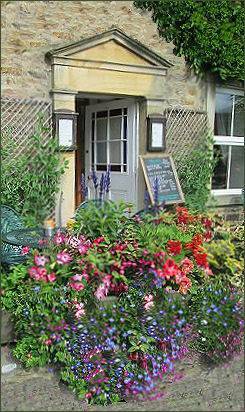 Originally the Vicarage, dating from Victorian times, the Muker village tea shop still retains much of its Olde Worlde charm. The tea shop featured in the Mail on Sunday as one of Six things you must do in Yorkshire. Muker is featured in the British television series All Creatures Great and Small, in the episode "Hampered", as the venue for the Darrowby Flower Show. 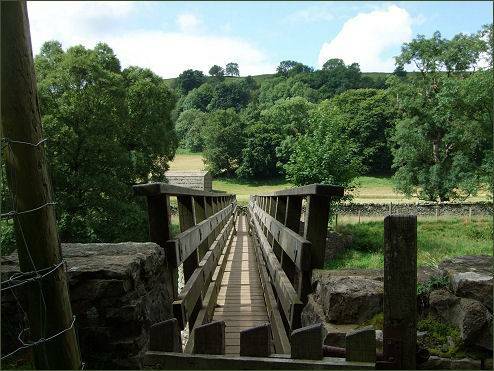 Muker, where both the long distance trails of the Pennine Way and Coast to Coast walk meet, is a popular starting point for walks around the Swaledale area and across the northern dales of the Yorkshire Dales National park. 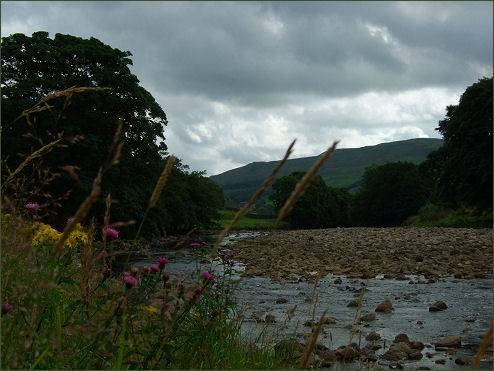 The River Swale runs parallel to the village and is renowned for being the fastest flowing river in England. It is a very popular destination for experienced kayakers. The village church of St Mary the Virgin, is a Grade II listed building which stands at the highest point of the village and occupies the site of a former chapel of ease. 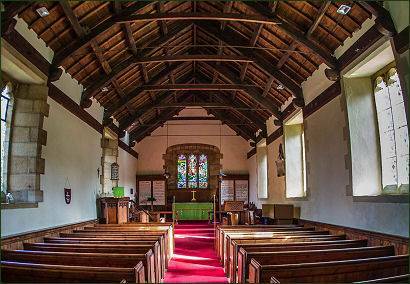 The present building was constructed during the reign of Queen Elizabeth I, a graveyard was consecrated at the time, so that residents of Upper Swaledale no longer had to transport their dead all the way to the nearest burial ground at the parish church in Grinton. The nave and chancel all date from this period. It would at that time have had a thatched roof and the evidence for the older steep pitched roof can be seen inside. The tower is assumed to date from 1793 and contains two bells, possibly taken from Marrick at the dissolution of the monastries in the reign of Henry VIII. The building was extensively restored in 1890. The clock was paid for by public subscription to commemorate the wedding of King George V and Queen Mary. The internal walls are whitewashed and the building has a wood beamed roof. Two oil lamps still hang from the beam across the chancel although lighting in the nave is by electric spot lights. The stained glass east window illustrate the Good Shepherdo, n either side are boards with the Ten Commandments, Lord's Prayer and the Creed.